The lack of collagen is what makes us age. 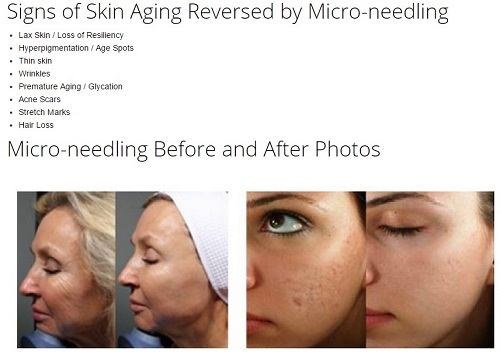 Microneedling is a safe and effective way to generate your own collagen to keep you looking younger. It makes sense to have your own body work for you rather than inject poisons into it. After the first treatment you look so much better. It takes a month for the collagen to kick in but as every day goes by you just look better and then four weeks later – wow you look fabulous. Facial lines are halved in depth, you look fresher and glow. Have another treatment and by the next month you really do look up to ten years younger. If your skin is normal then this can last from 6 months to a year. If your skin is in bad condition then more treatments are needed. I have watched my client’s skin thicken. One said to me that he could feel something between his skin and his forehead. (That was thicker skin and no lines). "I have noticed in my skin that where I would need a Filler or Botox the skin has thickened naturally as the collagen generates. My forehead is normal and line free but I can frown and I do not have a frozen look." I got to 60, “Hurrah” I thought I'm not looking too bad for 60. Through the year I noticed my skin getting thinner, lacking lustre and elasticity. I had a facial with Eva Lewis of Monochrome Skincare. Using a new technique called Collagen Induction Therapy which increases the body’s natural production of collagen. The results after four weeks were noticeable with many friends remarking on how well I looked! I had two more sessions and am noticing the reduction of the few lines I had. Eva recommends that all I need now is two sessions per year to maintain my healthy glow. I also noticed, as a side effect that I had fewer aches and pains, I discussed this with Eva and she suggested that as my body was producing more collagen it could possibly be the result of the rejuvenating effect of building collagen. When you injure the skin or cut the muscles under it your body makes collagen to repair it. A pen like machine with a cartridge of 12 micro needles goes over your skin and penetrates under the epidermis. It is pain free. (Some practitioners like to go deep and then it does hurt but it does not have to). 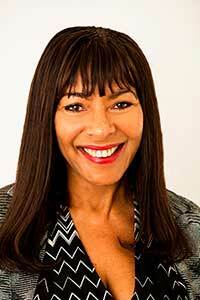 By stimulating a layer beneath the skin new collagen comes in to produce a youthful, natural l looking you. Your face does not lose its personality. It works on the neck with great results. Contact me to book an appointment or just to ask a question. You will love it. All my clients are delighted especially the men as they find good skincare hard to find.